Adipex-P Review: the Best Phentermine Brand for the Fastest Way to Lose Weight? Aidpex-P is one of the more common brands of phentermine. Phentermine itself is a prescription weight loss medication. Adipex P is known by the names Adipex P or simply Adipex. Adipex helps overweight and obese individuals reach a healthy weight. It helps users to shed those extra pounds by boosting energy levels and suppressing appetite. When combined with a healthy diet and exercise, it helps to transform your lifestyle to lose weight and reach your goal weight. Phentermine hydrochloride (Phentermine HCL) is the active ingredient of Adipex. Phentermine CL is a potent stimulant that has a chemical structure similar to amphetamines. This – along with the potential for addiction – is why phentermine is considered a controlled substance. 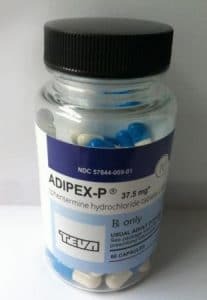 Like most phentermine brands though, Adipex is not actually an amphetamine and it is completely legal to use; provided you have a prescription from your doctor. Adipex pills are manufactured by Gate Pharmaceuticals, which is now a division of Teva Pharmaceuticals; the leaders in generic drugs. Teva have been marketing Adipex since 1990. Teva offices are located in 13 of the United States, Canada, Puerto Rico, and the District of Columbia and they have over 9,000 employees. The worldwide headquarters of the company is located in Israel. Teva is one of the largest manufacturers of generic pharmaceutical grade products and they hold offices in 60 countries. The power of Adipex is the primary ingredient Phentermine HCI, which works as a sympathetic amine. It triggers the brain to stimulate a stress response similar to what you experience in fight or flight responses. The response suppresses your appetite and boosts energy levels, both of which are key factors for losing weight. If you have less cravings, find it easier to get full, and have the energy to exercise, it can be much easier to lose weight. Click here to learn more how Phentermine works. It is always worth developing healthy and sustainable habits when taking the weight loss drug however. Much like other weight loss medications out there, it works best when it is combined with a healthy diet and regular exercise. Given that Adipex is a prescription medication, one must obtain a valid prescription from a doctor in order to purchase and use it legally. Buying Adipex was simple and legal until 2005. Back then, a doctor could prescribe it to someone online without ever actually meeting them physically. After filling in a quick questionnaire and paying for a virtual consultation, you were ready to order your Adipex online and have it delivered straight to your door. The Adipex was at least manufactured within the United States and shipped from legitimate, licensed pharmacies. Things changed as new regulations were introduced in 2005. It became illegal to prescribe Adipex over the internet. Patients would now need to have an in-person appointment with their doctor before getting their Adipex prescription. The change was made to protect users from the potential side effects of Adipex and minimize the potential for abuse. If you encounter any website claiming they sell genuine Adipex without the need for a prescription, then you can be sure they are either selling a defective product or – if they are selling genuine Adipex – are selling it illegally. The good news is that it is still possible to purchase Adipex online, provided you have a valid prescription from your doctor. Online pharmacies are still allowed to see users Adpex. Just take a visit to your regular online pharmacy and go through their process. You will be asked for your personal information and the number on the prescription to complete the purchase. You will be unable to purchase Adipex online without a prescription from your doctor. 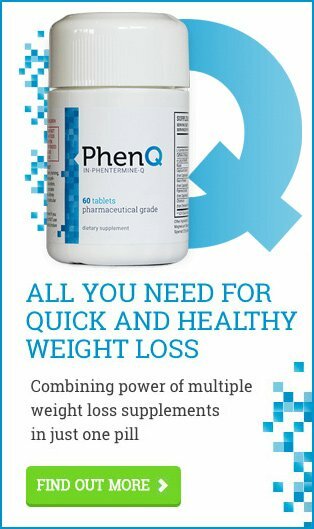 There are some alternatives however, we recommend using PhenQ to reach your weight loss goals. PhenQ is also designed to boost energy and suppress appetite with the help of all-natural ingredients. As PhenQ doesn’t contain actual phentermine HCI, it can be legally obtained online without the need for a prescription. All the medications and supplements you are taking and have been taking, along with their dosages. Your doctor should know if you took a monoamine oxidase inhibitor (MAOI) within the past 14 days. If you have diabetes, you should discuss how you are managing the condition. Insulin and other medications may have to be adjusted during Adipex use. The state of your health overall. Ensure that a doctor has performed a complete check-up to make sure your obesity isn’t caused by an underlying issue. Phentermine might be the wrong choice for you if you have conditions like hyperthyroidism. If you are pregnant. Phentermine should not be taken while pregnant, breastfeeding, or attempting to become pregnant. You can read more about the precautions and considerations of taking phentermine here. Adipex can be found in both tablet and capsule form. 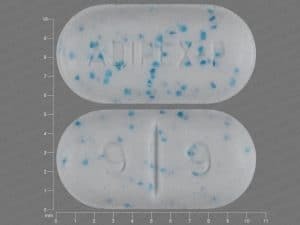 An Adipex tablet is blue and white and has an oblong shape. The tablets are scored and embossed with the words “ADIPEX-P” and “9-9”. Adipex tablets are packaged and sold in bottles containing 30 tablets. The Adipex capsules are two colors. They are a bright blue on one end, and an opaque white with two blue stripes on the other. Capsules are imprinted with the words “ADIPEX-P” and “32.5”. Adipex capsules are sold in packets of 100 capsules. Adipex is intended to be used with a standard dose of 37.5mg taken once a day. It should be used as a short-term obesity treatment, and should never be used for periods longer than 12 weeks. If your doctor believes that you could benefit from spending longer on Adipex, they may assess the potential for extra phentermine after taking a break from the medication. These breaks are important as they reduce the risks of addiction and ensure the treatment is effective. Adipex should be taken in the morning. It is to be used either before breakfast, or 1-2 hours after eating breakfast. Some patients are told to split their capsule in half and take half of a pill (18.75mg) a day, while others will split the Adipex dose and take it in two small doses rather than one big one. This option is common for people who struggle with cravings in the afternoon and evening. Avoid using Adipex too late into night and before bed as insomnia is one of the potential side effects. You should be sure to discuss dosage and schedule with your doctor when they write your prescription for Adipex. If you hold an irregular schedule, such as due to shift work, then it becomes evne more important to talk about your daily routine and the potential complications with your doctor. This information allows the two of you to decide on a phentermine schedule that gives you the results you want while avoiding the unwanted side effects. You should never make changes to your dosage or scheduled use of Adipex without consulting your doctor first. The consequences of overdosing on Adipex, or indeed any other phentermine product – can be severe. If you believe you may have overdosed on phentermine, then you need to seek medical attention or call the emergency services immediately. Adipex overdose symptoms and the severity of the reaction can depend on a range of factors including the amount of Adipex ingested, whether it was taken with food and alcohol/other drugs, and your overall health. If you believe that you or someone you know has overdosed on phentermine, you should immediately call the emergency services or poison control and get professional medical attention. Aidpex is certainly effective when it comes to losing weight, but it does carry potential side effects. These effects can range from mild to severe. How harsh these side effects are can depend on one’s individual phentermine tolerance, medical history, lifestyle choices, overall health, and how well a patient adhered to their prescription instructions. While some users may have severe reactions, there will be others that have no side effects at all when using Adipex. Adipex side effects generally happen when one begins taking Adipex as it takes time for the body to fully adjust to it; causing it to react to ingredients. If you or someone you know suffers from these reactions during Adipex use, you should immediately call the emergency services or get them to a hospital. Those symptoms are indicative of severe, if not fatal, reactions to phentermine. You should immediately seek medical attention if you notice any of these symptoms while using Adipex. Adipex has proven to be effective at helping people to lose weight quickly. The drug itself works by eliminating food cravings, suppressing appetite, and boosting energy levels. It gives motivated dieters everything they need to quickly and easily lose weight. Each individual is different and responds to medication differently, so keep in mind that individual results can vary when using Adipex. The medication doesn’t affect two people in the exact same way, as everyone has their own body type, metabolism, eating habits, genetics, etc. Adipex-P users can expect to enjoy a dramatic weight loss for the first week using the medication. This initial weight loss is mostly down to losing a lot of water weight. Between getting rid of the fluid held in the carbohydrates in your body and drastically reducing your intake of calories and sodium, some people could see weight loss of up to ten pounds during the first few days. Weight loss slows down somewhat after this first phase. A few weeks into the medication, and some patients start to report hitting a plateau with their weight loss. That is because their bodies adjust to Adipex and it makes the phentermine ineffective. The results one achieves with Adipex P should be similar to the results that they would get with other generic phentermine weight loss products. It is vital that you continue to make healthy and sustainable changes to your diet and exercise routine to continue losing weight. While Adipex is a short-term medication, the process of losing weight itself is anything but a short-term commitment. After losing the weight by using phentermine, you should continue monitoring your portions, making healthy dietary choices, and exercising regularly to keep the weight off. Going back to your old – and bad – habits means putting the weight back on, undoing all of your hard work. Some users have an easier time keeping their weight off after discontinuing Adipex use by using dietary supplements such as PhenQ. Last updated: August 7th, 2018. Bookmark the permalink.